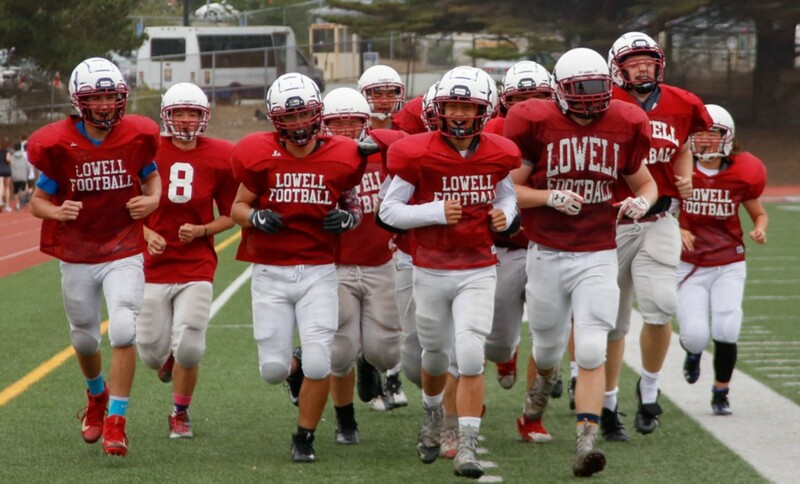 The Lowell football team is practicing despite facing the chance of not being able to play any games. 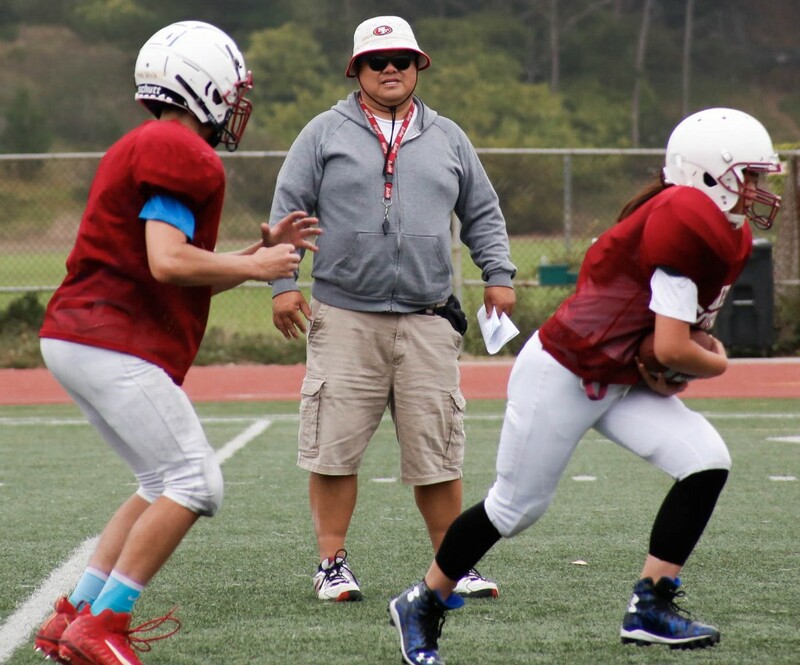 Lifting his head up from the roster, the head coach of the Lowell football team, Danny Chan, gave forth a slight sigh. “This might be the worst year,” he said. It was not a pessimistic presumption. With 16 players on varsity, including two girls, and only 11 on frosh-soph, the football team is facing a shortage of players. In order to become an official team and play in the CIF San Francisco Section, each team needs 18 players. Head coach Danny Chan observes his players during practice including juniors Ronald Pollick and Young Cho.